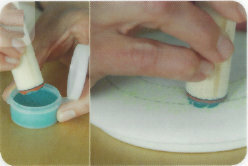 With a sponge dipped in paint, carefully dab the style stamp. 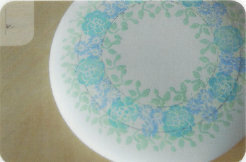 Please make sure that only the pattern is covered with the paint. 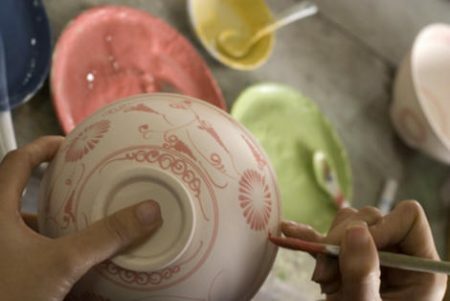 Tip: Before you stamp on the ceramic, it is best to first try it on paper. 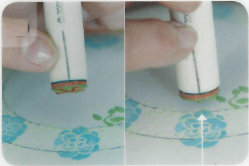 The denser you stamp, the more effective the result becomes.